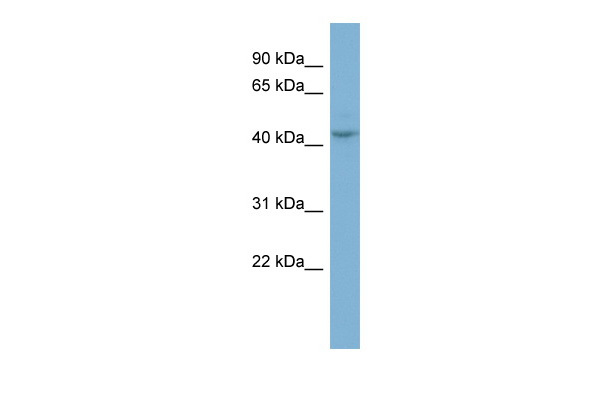 Western Blot analysis of PGCP expression in transfected 293T cell line by PGCP MaxPab polyclonal antibody.Lane 1: PGCP transfected lysate(51.92 KDa).Lane 2: Non-transfected lysate. 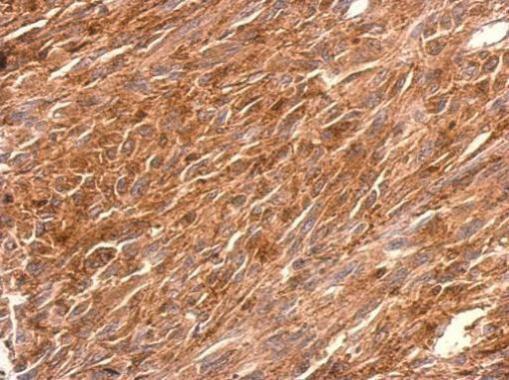 PGCP antibody detects PGCP protein at cytosol on U373 xenograft by immunohistochemical analysis. Sample: Paraffin-embedded U373 xenograft. PGCP antibody (TA307994) dilution: 1:500.